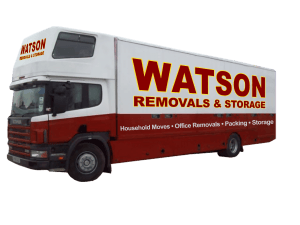 At Watson Removals Surrey, we pride ourselves on offering customers the best price guaranteed on house or office removals Surrey, with no compromise on service. We plan every stage of your move carefully to ensure a hassle-free experience and are fully serviced and liveried fleet of removals vehicles ensure we transport your belongings securely and on time. It’s no wonder we’re often labeled the locals’ favourite among removal companies Surrey. Many say moving house is one of the most stressful events in life. Our fully trained, experienced and professional team are experts in their field. Using best practice methods, we are able to handle everything that comes our way – from bulky furniture to prized antiques and sentimental possessions. Whether you’re moving from a flat, student accommodation or three-story house, we can help. We relocate individuals and families across Leatherhead, Guildford, Surrey, London, or anywhere else in the UK, every day. And with our network throughout England, Scotland, Wales and Northern Ireland, we aim to provide a friendly and cost-effective local service wherever in the UK you need to go. We regularly help businesses move premises – whether it’s helping start-ups get settled in or a transition to a newer, bigger site for more established firms across Surrey and beyond. With the finesse and training to handle everything from sensitive files, technology, and equipment to desks, chairs, filing cabinets and workstations, our team of dedicated removals experts has been trusted time and again to get the job done quickly and thoroughly. We recognize that time is of the essence, and you want to get back up and running as quickly as possible. Therefore, we can schedule your move for the most appropriate time, so that any downtime is minimised. Moves don’t just happen on moving day; you may have belongings which need temporarily rehousing in storage space leading up to and after the big day. We can provide adequate and secure storage that’s just right for your needs – whether you have a house or office full of furniture, boxes of clothes or files, or smaller possessions to accommodate in between properties. Since the demands of life don’t go away when you’re moving home or business, we offer a full packing and unpacking service. We find our customers love this option because it saves them the hassle and the time of wading through boxes and packaging materials. Our attentive packing team knows the best ways to package a multitude of different items for safe transportation, before securely transferring them to your new home, business premises or storage facilities, and carefully unpacking if required. 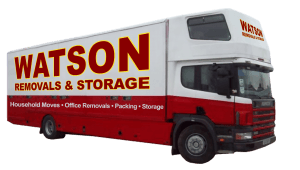 For friendly and reliable office and house removals in Surrey and beyond, trust the Watson Removals team to get the job done right first time, every time. Call us on 01483 319255 or get a free quote on our website.